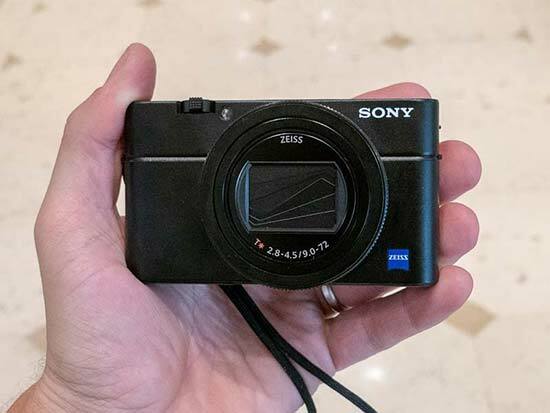 At first glance the Sony RX100 VI looks very much like the previous Mark V model (which continues in the range), closely resembling it in terms of size and control layout. The two cameras are actually identical in size when viewed from the front, with the new Mark VI only being 1.5mm thicker than than the RX100 V despite having a much longer zoom lens. The new 24-200mm lens makes the VI much more versatile than previous RX models, covering a focal range that should keep most photographers happy. Sony were keen to stress that this is a camera that can cover most photographic situations, and after using it extensively for everything from wide-angle landscapes to candid portraits, we'd certainly agree with that assertion. The RX100 VI would make a great pocket companion to the excellent A7 III mirrorless camera. In terms of aperture, the 24-200mm lens starts at f/2.8 and reaches f/4.5, very respectable considering the compact nature of the camera. It's comprised of 15 elements in 12 groups, 8 aspherical, 4 advanced aspherical and 2 ED, and every element moves when zooming, a unique feature (some elements stay still in most zoom lenses). It also maintains an f/4 aperture at 100mm, an important aim for Sony when designing the RX100 VI, whilst offering an improved 4-stop OIS system to held keep your image blur-free. High sharpness and contrast are evident even in the corner of the image at 200mm, and the lens has an almost circular aperture from open aperture to f/11 at maximum telephoto. 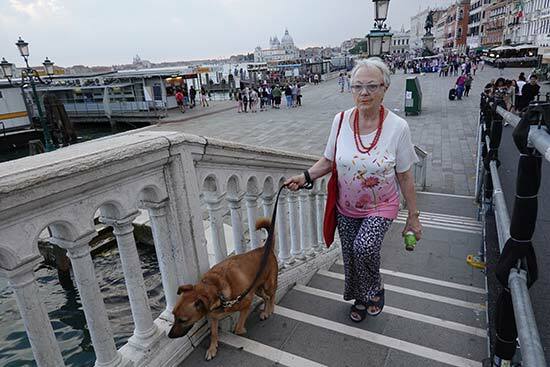 Finally, Clear Image Zoom, Sony’s clever digital zoom, is available to increase the focal length by 2x without too much degradation of the image quality. The RX100 VI continues to offer incredible continuous shooting speeds considering its relative affordability. 24fps burst shooting is available complete with AF/AE tracking, just like on the Mark V, but the A7 III has a larger 233 JPG image buffer (109 Raw files). 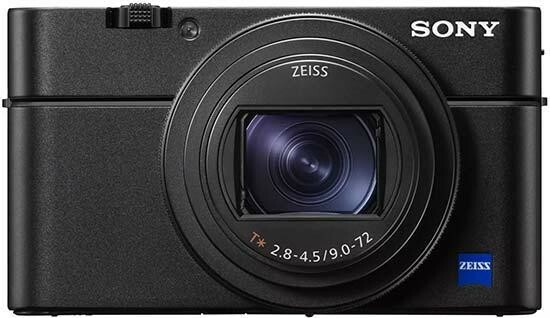 Sony also claim that the RX100 VI can achieve a similar focusing hit rate to the flagship A9 compact system camera thanks to improved AF tracking. It actually uses that camera's AF algorithm, employing 315 phase-detection points along with Sony's excellent Eye AF mode. It offers 65% scene coverage and can focus in just 0.03 sec, 1.8x faster than the RX100 MK V (0.05 sec on the Mark V). In practice the new AF system worked very well, both outdoors in bright sunlight and in more demanding low-light conditions, with the fast and effective Eye AF once again proving its worth for easily capturing great portraits, engaged by simply holding down the center button on the rear control wheel. For video, the RX100 VI employs a Fast Hybrid AF system, using both phase and contrast detection together to offer much better subject tracking than previous models. The Sony RX100 VI now offers a touch panel LCD, the first time on an RX-series camera. 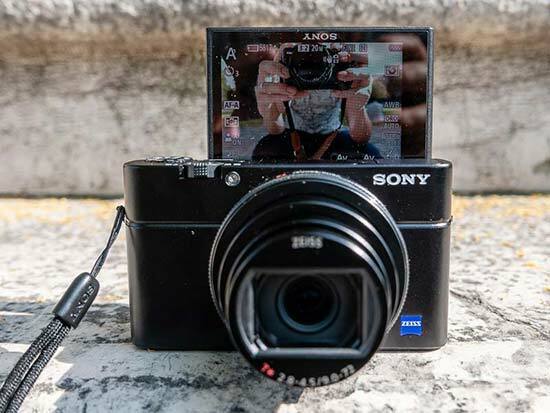 As with other Sony models that employ this technology, features include touch focus, even with selfies, touch shutter and faster image reviewing, although you still can't operate the menu system without using the camera's physical buttons. The VI has an expanded tilt angle LCD screen, increased from 45 degrees on the Mark V to 90 degrees, making selfies and awkward shooting angles a lot easier than before. Battery life is still pretty poor though, thanks to the continued use of the tiny NP-BX1 unit - you'll need to budget for several of these to get through a serious day's shooting. 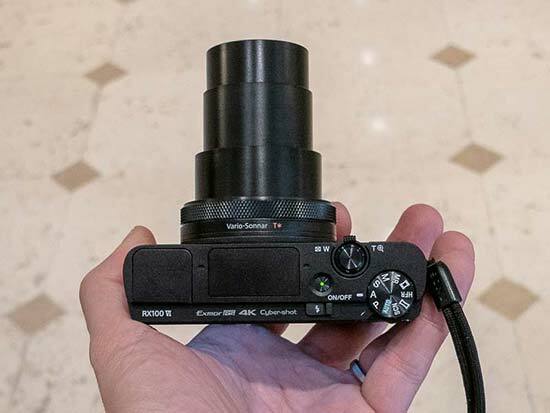 Oh, and there's still no Mic port, which will rule out the RX100 VI for more serious vlogging. 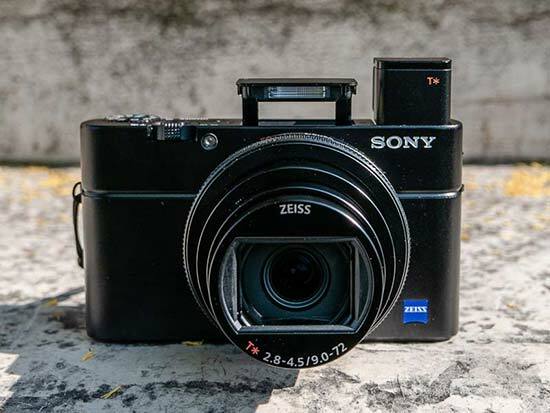 For stills photography, the Sony RX100 VI employs a 20 megapixel 1-inch sensor that was apparently developed 2/3 years ago, coupled with the very latest BIONZ X processor and front-end LSI borrowed from A9 camera. It offers a top ISO speed of 12800, starting at 125, and Sony claim that it has improved colours and textures, especially for skin tones, inherited directly from the A7 III. We've already shot a gallery of sample images for you with a full production version of the RX100 VI which you can check out here, and we'll be bringing you even more full-size JPEGs and Raw files when we get our hands on a final review sample. For video, the RX100 VI can record 4K movies (3840x2160 pixels) at 25/24fps, utilising a 4K full pixel readout with no crop factor, fast Hybrid auto-focusing and 4K Hybrid Log Gamma mode. It can also shoot 1080p footage and slow-motion 960ps video for up to 4 or 7 seconds, while S-Log2 and S-Log3 profiles allow for colour grading in post-production. You can find some 4K and slow-motion sample videos in our Sample Images gallery. The RX100 VI greatly expands the appeal of Sony's premium range compact camera to include a much wider variety of photographers and subjects, principally thanks to the 24-200mm lens, but also due to its excellent AF system when shooting both stills and video, all in a camera that's only 1mm bigger in size than its predecessor. If you need a faster lens then the Mark V continues in the range with its shorter 24-70mm, f/1.8-f/2.8 optic.